I don’t stress the Canadian origins of this blog. I did when I started, but as the stats started coming in, I realized that both my readership and my subject matter were dominantly American, and it was easier just to blend. I don’t know much about the Canadian religious scene. Perhaps some of our northern readers can weigh in on this. Apparently the largest denomination, the United Church, has been long known for its liberal leanings and inclusiveness. But one minister is testing the boundaries: The Rev. Gretta Vosper, spiritual leader of West Hill United Church in suburban Toronto, is an avowed atheist. Vosper has been upfront about this since 2001, but things came to a head earlier this year after she wrote an open letter objecting to a prayer a fellow minister had written following the Charlie Hebdo massacre in Paris. Vosper said the prayer should have acknowledged that belief in God could trigger extremism [because, ya know, all the great massacres of the 20th century (the Cultural Revolution, the Stalinist purges, the Khmer Rouge) were led by Billy Bibles]. Rev. Vosper will face a church hearing to determine whether she is upholding her ordination vows, which included affirming a belief in “God: Father, Son and Holy Spirit.” One proposal on the table is to trade her to the Unitarians for cash and two seminary prospects. This is a subject close to my heart, as my vocation allows me to see the entire spectrum of United Church ministers, members and adherents; from the extreme liberals, to the churches which are very evangelical. I felt a certain responsibility to add to the comments at iMonk. … I think it’s ridiculous to talk about having a personal relationship with Jesus…All religions of the world are hopeful that this life is not all there is, and so am I. I don’t believe in heaven as it is described mythically in scripture. I hope for some kind of spiritual consciousness after I die that is loving. I’m not afraid of death; it feels like whatever happens next will be good. Even if it’s only a forever sleep, it will be a good rest. The article linked at Internet Monk’s Ramblings [akin to our Wednesday Link List] says that Vosper will be held to account as to her faithfulness to her ordination vows, “which included affirming a belief in ‘God: Father, Son and Holy Spirit.’” However, a visit to the denomination’s ‘Beliefs: Overview’ page on its website contains references to the teachings of Jesus, but not his divinity; there is no mention of sin, no mention of salvation. In balance, it must be said that for every local UCC church headed by a Vosper or a Suk, there are indeed some evangelical United Church congregations. Overall however, this is a denomination that has clearly lost its way, but is no doubt capable of hanging on for another fifty years because of its vast real estate holdings and income from estates. Rob Bell — Straying From Traditional Evangelicalism: How Far is Too Far? 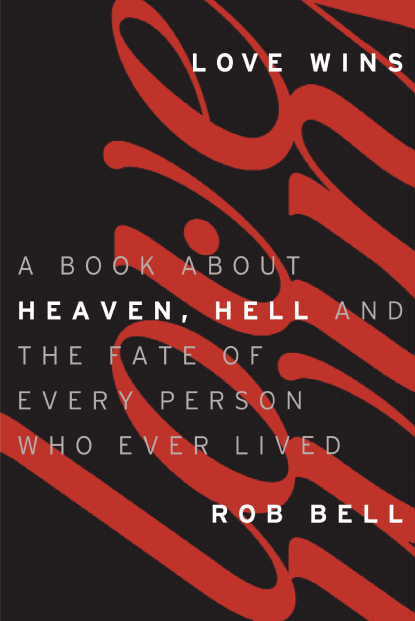 On January 21st, I mentioned that through a series of circumstances I had obtained a very advance copy of Rob Bell’s new book, Love Wins: A Book About Heaven Hell and the Fate of Every Person Who Has Ever Lived (March 29, 2011, HarperCollins, Hardcover.) In that brief article, I suggested that by the end of March, social media are going to have a field day with this title because of its controversial subject. On the other hand, many of those entering into the discussion are doing so solely on the basis of the brief publisher blurb online. Well, actually that’s been online for awhile. The weekend brought the promotional video, which you can view at Justin Taylor’s February 26th post, along with an update that the topic of Bell’s book — and a discussion of Bell himself — has been added to the agenda of The Gospel Coalition’s April national conference, a constituency whose orthodoxy is rarely questioned, but a constituency that is probably among the easiest to offend. (They probably considered burning him in effigy, but couldn’t get the local fire department to grant a permit.) Apparently Bell has been official designated a “problem” to be dealt with. Several years ago we had an art show at our church. I had been giving a series of teachings on peacemaking and we invited artists to display their paintings and poems and sculptures that reflected their understanding of what it means to be a peacemaker. One woman included in her work a quote from Gandhi, which a number of people found quite compelling. And they decided it was their responsibility to let the rest of us know? Of all the billions of people who have ever lived, will only a select number ‘make it to a better place’ and every single other person will suffer in torment and punishment forever? Is this acceptable to God? 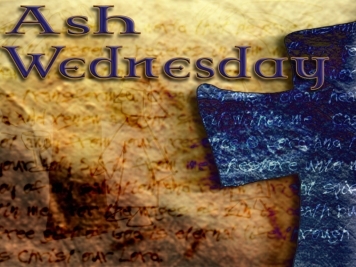 Has God created millions of people over tens of thousands of years who are going to spend eternity in anguish? Can God do this, or even allow this, and still claim to be a loving God? Does God punish people for thousands of years with infinite, eternal torment for things they did in their few, finite years of life? If there are only a select few who go to heaven, which is more terrifying: the billions who burn forever or the few who escape? How does a person end up being one of the few? Have you ever heard somebody make claims about a select few being the chosen and then claim that they’re not one of them? Is this the sacred calling of a Christian: to announce that there’s no hope? In his previous books and tours, Bell has often been… squishy regarding his take on the wrath of God (even going so far as to reinterpret God’s wrath as a feeling of grief mixed with a desire to reconnect and restore). Indeed, he’s been so ambiguous that it’s caused a great many pastors and theologians to ask the question: Is he a universalist? With this book it seems we might have an answer, in much the same way Brian McLaren dropped his pretense of trying to remain orthodox in A New Kind of Christianity. While some have speculated that it is universalism through and through—I have on good authority that this is the case—a recent re-read of Bell’s first book, Velvet Elvis, suggests this has been his trajectory for at least 7 years. I’m not sure if Rob is going to take it as far as “hell is non-existent”, but the one thing that Bell seems to do well is walk the line of controversy, yet remain a consistent voice that challenges the Evangelical community. The best example of this is in Velvet Elvis where Rob Bell uses the example of questioning the Virgin birth to make a case for deconstructing one’s faith, even though he doesn’t actually make the claim that Jesus was not born of a Virgin. Do I believe in a literal hell? Chapter Three is in many ways the cornerstone of the entire book, and I’m reluctant to provide more of it here; and frankly, once the book is in the stores, I hope others won’t excerpt bits of it either. I say that simply because Bell’s argument has a rhythm and cadence of its own, and to just edit bits of it for a review is akin to editing a few bars out of a symphony. I’m not saying that I agree with all its conclusions, or even that its conclusions are overt and plain, but there is a passion to this particular argument that you need to experience in its full context. You’ll probably not agree with everything, but you won’t be the same after you’ve finished reading. Note to the 99.99% of people who won’t get an advance review copy of the book: All of this discussion is valid and needful. But make sure it stays focused on the issues. Some of those who you will read online have come into this discussion with their minds already made up about Bell and have been looking for an opportunity to run him, figuratively speaking, out of town. The issue of Christian Universalism is a very serious and crucial issue and we need to stay on that issue, and not allow the personality or preaching style of an individual pastor to sidetrack us from gaining deeper understanding of what the Bible might be saying. Related post: John Shore uses an XtraNormal text-to-video to bring the conflicting views into sharp focus. This blog post contains elements of an early version of the book which may not be part of the final copy.